Back in the Enchanted Forest, we find everyone living peacefully despite the threat of a Wicked Witch on the loose. The same however cannot be said about the re-cursed residents of Storybrooke. With more and more people becoming unaccounted for – possibly turning into Flying Monkeys – and sinister hidden plots, the race is on to recover their memories and stop the Wicked Witch’s plan – whatever it may be. 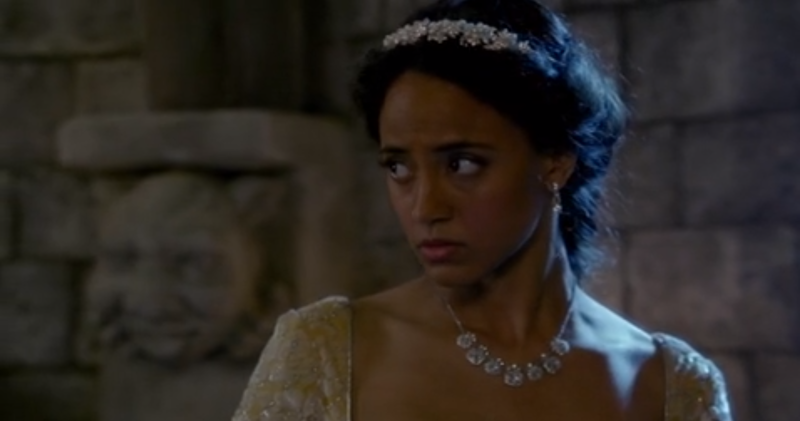 As the episode opens we find Charming dreaming about how Emma would be if she were a princess and thus raised as one. While teaching her to dance, he quickly realizes that this is no dream, but rather a nightmare. The tree trunk that saved Emma from the curse rips Emma from Charming’s arms as she begs him to not let this happen to the ‘next one’. When Charming awakens, he finds that his fears have been already realized. He and Snow have been planning on trying to have a second child for a while – since Neverland – but the time to express fears might be past because Snow is already pregnant. Can Charming be a good father? Sure he has a daughter now, but by time he met her she was already full-grown. What in the world could calm Charming’s fears? While sneaking away to the stables for a quick drink to calm his nerves, Charming bumps into Robin Hood who tells him of a mystical plant known as Night Root that is said to help you face your fears. Charming immediately sets a course for the root’s location, but is warned that that part of the forest is known for being haunted. Once Charming arrives and procures some of the root, he hears a cry for help that brings him to a large stone tower. As he ascends it, he comes upon the beautiful Rapunzel who has been trapped in the tower for years by some evil witch that forbids her from leaving. Rapunzel was second in line to rule her kingdom after her brother who died trying to save her. Scared that she was unfit to rule, Rapunzel ran to calm her fears by seeking out the Night Root – which is when the witch chased her into the tower and has held her ever since. 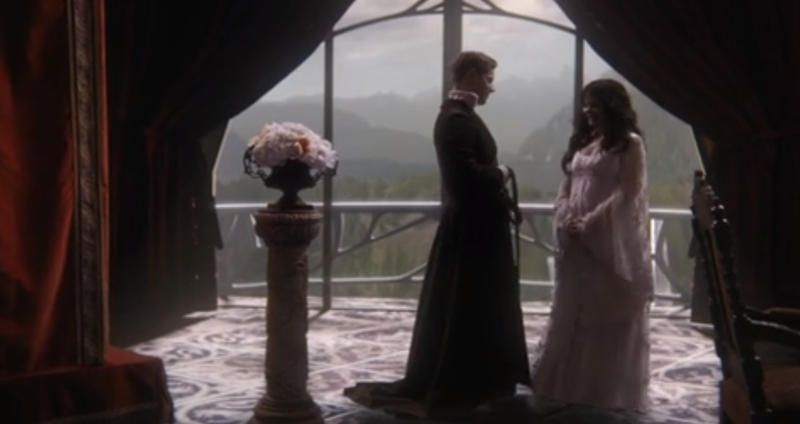 Charming vows to save her, which immediately brings the wicked creature out of hiding. Charming in no match for the monster’s strength, but then realizes that he isn’t the one who can defeat it. He determines that the Night Root gets you over your fears by literally making you face them. The witch that has been keeping Rapunzel trapped is the physical embodiment of everything she fears. Only by standing up to her fear-based doppleganger can she overcome her fears and vanquish the witch – which she does. Sadly for Charming, he’ll remember none of this when it happens to him a year later. While meeting with Mary Margaret’s new mid-wife – Zelena – back in Storybrooke, Charming is given Night Root by Zelena, who stole some from Mr. Gold’s shop. When Charming goes to meet up with Emma and Hook, he comes across the same hooded figure he met in the enchanted forest. Not realizing it to be the effect of Night Root, he goes after it thinking he’s found the Wicked Witch. After becoming overpowered by his now apparent doppleganger, David sees Emmas yellow car driving towards him. He immediately remembers that he isn’t alone and that he’ll do whatever he has to in order to protect his family. Charming finally reaches for his broken sword and jabs the hilt into the illusion. Just as David breathes a sigh of relief and reaches for his sword hilt, it disappears in a puff of green smoke. But why? Earlier in the episode, Zelena told Rumplestilskin that she had been after something that Rumple has searched his whole life for and goes against his very nature – something that she wasn’t intending to wait for. It’s entirely possible that the thing she meant here was “courage”; and who is more courageous than Prince Charming. By taking Charming’s hilt – the item he used to conquer his fear – she now has a very powerful totem that represents his courage. What can all of this be leading towards? Thus far she has the Dark One under her control as well as the physical representation of courage. Add this in with her interest in Snow and Charming’s new child – the product of true love – and you have a lot of very powerful items that don’t add up. What is her larger plan? If there’s courage involved, will she be going after a heart and a brain as well – and complete the list of things the Lion, Tin Man and Scarecrow were looking for. But there is still one larger question at hand, WHO IS SHE?!?!?!?!! In our continuing quest to discover who Zelena’s father is, several new pieces of information were revealed this past episode, that may or may not debunk the Rumple’s Daughter theory I proposed last week. While she shaved Rumple, Zelena starts to talk about how she used to always shave her father. He would never be able to do it because his hands would tremble too much due to his drinking – or something else. Though he felt it was always important for people to keep up appearances. Though it’s not just what she says to Rumple, but how she says it. She has such disdain in her voice while she’s speaking. Whether it’s for Rumple or her father – or both – she is clearly peeved. This expands our theory into a Rumple route and a none Rumple route. Rumple Route: Rumple is still her father, and he used to drink or spin straw so much keep his feelings of betrayal by Cora at bay, his hands would shake. Not Rumple Root: Zelena’s father is someone else entirely, but Rumple might have killed him. She never exactly specified how Rumple crossed her path, so this is an option. 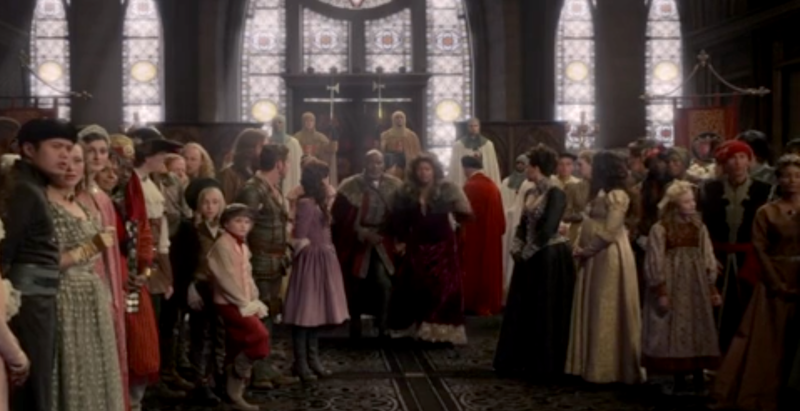 Although this would mean that Cora’s daughter was conceived LONG before she met Rumple and tried to become royalty. It’s time to check in with our couples – or people we want to/know will be couples. Back when Robin was telling Charming about the Night Root, Charming noticed the gold tipped arrows Robin received from Regina as a thank you for helping her break into her castle, and remarks “She must like you”. Robin admits that he thinks she wants him gone, but he’s decided to stay because it’s the best place for his son. With Roland near Regina, she has someone to focus her motherly attention on, and we know that is something Robin Hood admires about her. So it looks like Regina and Robin might get together some point in that year . . . before that darn curse made them lose their memories. Though with a little luck – and its WAY too soon to forecast this – but maybe it’s their kiss that breaks this new curse. Now on the subject of budding romances, Captain Swan fans rejoiced this episode to see a brief little moment between Emma and Hook. Emma started pushing Hook to find out what happened during his year in the Enchanted Forest, but he says he won’t talk about it and quickly changes the subject. Hook pushes Emma to see if she was actually considering marrying that – literal – flying monkey. Emma says yes because she was in love, whether it was fake on his end or not. Hook admits that he’s actually happy with this news because it means if her heart can be broken, it still works. 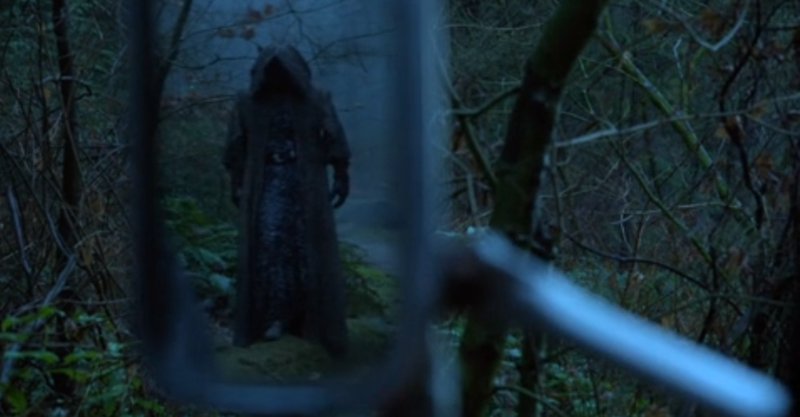 Did Rumple escape, or was he summoned by Zelena? This episode certainly raised the stakes and confused some points, but this is still a great season thus far. I loved the evolving juxtaposition between Rapunzel facing her fear and Charming facing his. Another thing to note was how Charming/David really stepped up this episode. His fears of fatherhood actually gave some long needed depth to his character – a depth we haven’t seen much of since the end of Season 1. Although sadly, as much as David grew on me this episode, Mary Margaret went down a few more pegs. She is far too trusting of this woman she just met – Charming points this out too – and it’s going to lead to trouble. She already has begun telling Zelena about Charming working on important police work. It’s only a matter of time until Mary Margaret reveals something much more damaging.